Karsten Windt was 1st violinist with the Deutsche Symphony Berlin (DSO) from 1991 until 2011. He performed regularly in the Berlin Philharmonic Hall, took part in many recordings (winning a Grammy with his orchestra in 2011 under the baton of Kent Nagano) and maintained a busy world-wide touring schedule. He also joined the Berlin State Opera, Montreal Symphony, London Philharmonic, Oslo and Valencia Operas, the Hamburg Radio Symphony and many other orchestras as a freelance player. Karsten received his Masters degree from the Universität der Künste in his hometown of Berlin, attended masterclasses with Nathan Milstein, and spent two years of postgraduate studies at the Guildhall School in London with Yfrah Neaman and David Takeno. Founding director of the Akanthus Ensemble Berlin, he performed and recorded chamber music, including Argentinian Tango and Russian Folk Music, and organized special food and music events with The Ritz Carlton Berlin, Ristorante Tristan in Mallorca and several private clubs in Berlin and Hamburg. 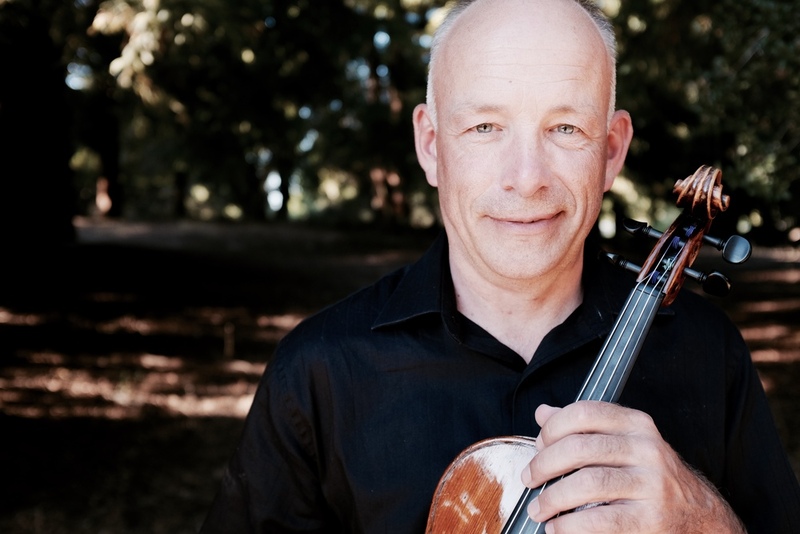 Following invitations to play and narrate for Forest Hill Musical Days in San Francisco, Karsten started the chamber music series "Salon Classique" in the Bay Area and moved to California in 2011, establishing himself as an independent violinist, chamber musician and teacher. He directs the Advanced Chamber Music program at Marin Academy in San Rafael and performs with many local Bay Area Orchestras and chamber groups. In his free time, Karsten pursues his passion for sailing. Ivy Zenobi received her Bachelor in Music from the University of Colorado at Boulder in violin performance and a Masters in viola performance from the University of Toronto. She has performed in both the Aspen Music Festival and Banff Centre for the Arts. In 2007, her former group, the Blume String Quartet, were recipients of the prestigious Felix Galimir Chamber Music Award in Canada. An avid enthusiast of string pedagogy, Ivy became Suzuki Certified through Dr. William Starr in and most recently attended the Starling-Delay Violin Symposium held at The Juilliard School. In recent years, Ivy’s passion to explore other genres of music has lead her to performances on viola with her former indie/rock group "Naked Fiction”. That alternative path has lead her to a performance at the Hardly Strictly Bluegrass Festival, a California tour with "Chuck Prophet and the Mission Express", and most recently a live recording and music video with the Oakland rapper, Locksmith. Ivy is the founding member and manager for the Bellarosa String Quartet, which regularly performs throughout the Bay Area at private events. Currently, Ms. Zenobi performs with Santa Rosa Symphony, Napa Valley Symphony and Vallejo Symphony. Ivy is Sonoma Academy's "String Beans" ensemble director. Outside of music, Ivy enjoys spending time with her husband and french bulldog, traveling, and of course, food & wine. Violinist Tammie Dyer holds a Doctorate of Musical Arts from Stony Brook University, an M.M. from Rice University, and a B.M. From the University of Utah. She has studied with many of the great artists of our time, including Philip Setzer, Dorothy DeLay, Pamela Frank, Kathleen Winkler, members of the Cleveland String Quartet, the Emerson String Quartet, and has attended the Tanglewood, Aspen, and Sarasota music festivals. Tammie enjoys playing a variety of musical styles, and is passionate about sharing the transformative experience of live music. As an active chamber musician, Tammie performs regularly throughout the Bay Area, with such groups as the Echo chamber orchestra in San Anselmo, the Hidden Valley String Orchestra in Carmel, and on the Opus Series in Mendocino. Other groups include the Santa Rosa Symphony, the Mendocino Music Festival Orchestra, Symphony of the Redwoods, and such venues as Davies Symphony Hall, the Greek Theater, the Fox Theater, and the Gallo Center for the Arts. Joel Cohen had his early musical training in the San Francisco Bay Area with Irene Sharp and Margaret Rowell. Further studies took him abroad to Canada and Holland, and then back to the Bay Area as co-principal cellist with the Oakland Symphony from 1979 to 1985. He lived in Vienna for the next twelve years, playing and touring with the Vienna Chamber Orchestra under Philippe Entremont, the Wiener Kammeroper, the Wiener Akademie (on period instruments) and Quartett Yggdrasil, as well as the Vienna Radio Symphony (ORF/RSO). He was also a member of the Johann Strauss Festival Orchestra, performing in Austria and around the world, including Germany, Japan, Argentina and Brazil. Upon returning to the U.S. in 1997 he played and taught in the Boston area, performing with varius orchestras and chamber music groups including the Boston Symphony Orchestra, the National Lyric Opera, the Rhode Island Philharmonic, the Landmarks Orchestra, and the Leonora Quartet. He also taught cello at College of the Holy Cross in Worcester MA. He was a member of Improvelocity, a mixed vocal/instrumental group performing entirely improvised concerts. He became a founding member of Quartet San Francisco in 2000, playing with them until 2008. The quartet was nominated for Grammys® in 2007 and 2008. Joel moved to Mendocino County in 2007, and has been performing locally and further afield, as a soloist and in chamber music concerts. In 2013 he played recitals in Mexico with pianist Elena Casanova. He has also performed the Brahms Double, Elgar and Tchaikovsky concertos with several local orchestras. Joel taught cello at Humboldt State University from 2014-2016. He also teaches at Pacific Union College in Angwin, CA.